Not long back, research meant trudging down to the library, searching for journals through musty stacks and queuing up for the photocopier. But not anymore. Digital books will play a vital role since people today are more tech-savvy and time-conscious. Taking a cue from the trend, Punjab has acquired its first digital library, providing an access to swathes of information. Launched in 2003 by Davinder Pal Singh and Harinder Singh under Nanakshahi Trust, the Panjab Digital Library (PDL) is an independent, non-profit endeavour, providing digital archiving services for Punjabi heritage. PDL digitally preserves manuscripts, books, records and historical documents for individuals and institutions, making them available online. 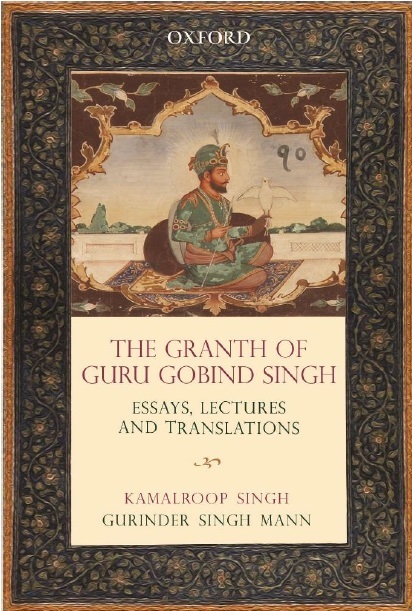 "It seeks to save and make accessible the vast amount of handwritten, rare literature and art, scattered in and around Punjab," explains Harinder. The Sikh duo was pained to see a great loss of Punjabi heritage due to human negligence. Harinder says, "Despite these losses, there was still a lot left worth saving. So, after much brainstorming, we established PDL in 2003, to archive the endangered and invaluable Punjabi manuscripts." In 2006, Nanakshahi grew from a small, three-employee organisation to India's leading digital preservation NGO. "Armed with ten active working groups and well drafted policies, our strength grew to 30. This increased our digitally preserved pages from 5,000 a month to 5,000 a day," shares Davinder. Today, with about 35 installed workstations, PDL has the region's highest number of data processing power as an NGO. It has acquired specially customised digitisation worktables, a complete digitisation apparatus and computer systems. 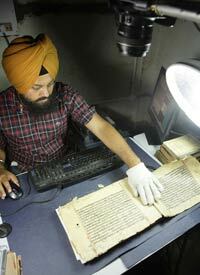 Access to all digital data at www.panjabdigilib. org is free of cost. This transition from physical to digital is not just going to change the way we read, but also going to determine the future of books in the country. Though it would be interesting to see whether it would be able to book success over the print world, and emerge as a reader's choice in the long run. The digital scorecard of Panjab Digital Library hit new highs.